When your coffee craving hits, this iced latte is the perfect remedy. Our Iced French Vanilla Keto Latte delivers a rich, smooth flavor sure to invigorate your soul for the day, and all you need is two ingredients and a few minutes. 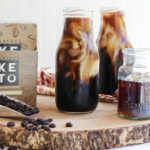 Instead of hunting down a coffee shop to get an iced americano, you can make this iced latte in minutes. Instant Keto Coffee is our delicious blend of organic coffee and MCT oil powder we especially formulated for ketoers everywhere. 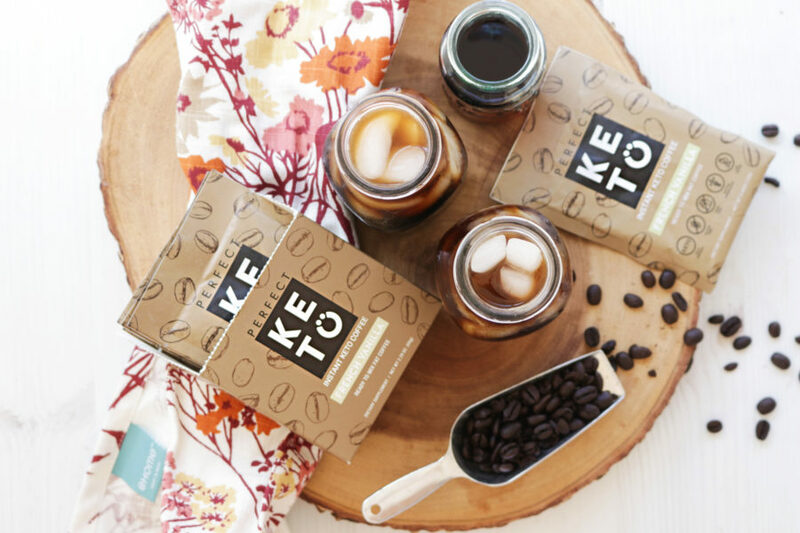 Unlike regular instant coffee, this keto-friendly fatty coffee tastes like a freshly brewed cup java and will boost your ketones levels so you can stay energized all day long. MCTs are great for anyone following the ketogenic diet because they are quickly and easily digested, making them instantly accessible for fuel. This means ketones are readily available for the body to use for energy. When ketones are readily available, you can enter ketosis. Organic coffee is loaded with antioxidants, helping boost your energy and concentration due to its caffeine content. There have been many studies conducted on coffee and its benefits, including one which concluded that consuming coffee before exercising will increase your energy post workout [*]. MCTs provide our brain and body with the energy it needs to jump start the day. They provide support to the central nervous system, which is directly linked to brain health. They also aid in blood sugar stabilization which is beneficial for reducing inflammation and improving brain function [*]. The caffeine in coffee has great benefits that have been linked to improving physical endurance and cognitive performance [*]. This is probably why it’s the best part of waking up. The MCTs found in our Perfect Keto Coffee are also beneficial for heart health. Multiple studies have shown MCTs can help reduce blood triglyceride levels and improve lipid profiles [*]. These improvements result in a decrease risk of cardiovascular disease. Since MCTs are also anti-inflammatory and easy to digest, this helps reduce the severity of these conditions. Serve this Iced French Vanilla Keto Latte with a dash of full-fat coconut milk or heavy cream and you’ll be ready to kick-start your day. No need to go all the way to the neighborhood coffee shop. Now you can enjoy a delicious gourmet Iced French Vanilla Keto Latte in the comfort of your own home.